We are pleased to announce our sponsorship of Oxford Brookes Racing for Formula Student 2018. The team will be using our aluminium honeycomb in the chassis of the racing car they are building, to take part in Formula Student. OBR18 will promote Corex Honeycomb and Herald Motor Company on their website and on their Formula Student racing car. 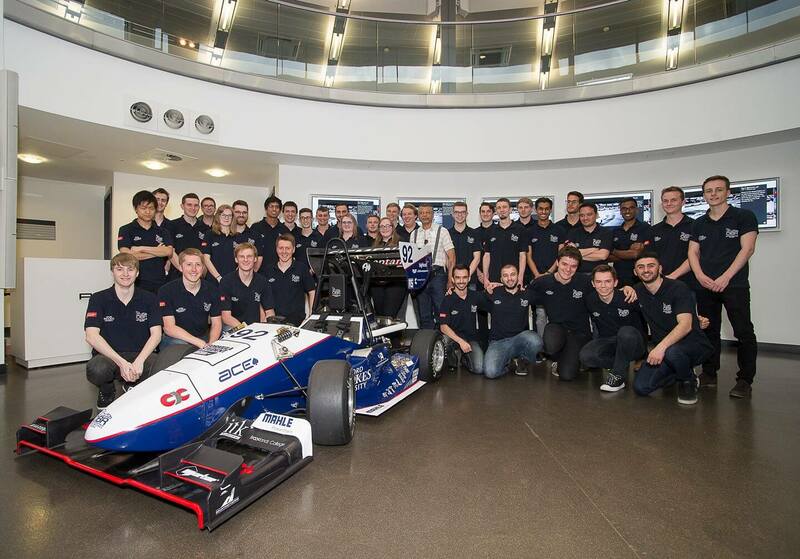 Oxford Brookes Racing has been around since 1999, it is the Oxford Brookes University entrance into the Formula Student competition, which challenges students to design and build a single seat racing car alongside a business concept and cost analysis. Oxford Brookes Racing has since gone on to be known as one of the best UK Formula Student teams, claiming the “Top UK team” title 5 times. Formula Student UK: 3rd Auto X, 3rd Design, 14th overall out of 75 Formula Student Germany: 2nd Skid pad, Top UK Team Formula Student Hungary: 2nd Skid pad, 1st Cost and Manufacturing, 1st Business, 2nd Overall Statics and 2nd overall win, Top UK Team. Formula Student started in the USA in 1981 to test engineering students design capabilities along with their business acumen, arriving in the UK in 1998. Across the World, there are 663 teams competing in 16 competitions across 5 continents. All aspects of the car are tested across a variety of races and the students have to show the cost breakdown of each element and present a ‘Dragon’s Den’ business pitch about their car. Some University teams keep the same vehicle and add enhancements and refinements, but others challenge themselves further by building their design from scratch every year. This helps develop their skills and knowledge and gives them an advantage over their competition.